It’s so refreshing to come across beautifully executed non-milestone party sometimes. When I came across this 29th birthday styled by Emma (event planner and stylist) from For Love and Living, I jumped at the chance of getting it on the blog. This was her own birthday party, a Spring themed 29th birthday. As she is a Spring baby it is her favourite season, so the theme was fitting. The party featured a dreamy colour-scape dominated by soft feminine pinks mixed with lavender and creamy hues. Emma gives us the details below. What’s not to love about Spring? The days are getting longer, afternoons warmer and florals are blooming. To ignite the feeling of Spring for this party, we used textural elements such as soft pink silks and floral centrepieces that were spilling out onto the tables providing a soft feminine touch. The roses were giving off the sweetest aromas, “Spring was (truly) in the air”. The colour palette was curated with lavender purples, a mixture of blush pinks and soft creamy hues. The tablescape was also set with drinks that were made from Lavender and Rose quartz, the colour and taste chosen to create our Spring ambience through taste and smell. Scattered throughout, were cupcakes with spilt pink icing and detailed with delicate edible flowers. Personalised menus were written on blush pink invitations, over top white linen napkins and tableware to make them pop. The birthday cake became the focal point and was made to such absolute perfection that even the inside layers of the cake matched the other styling details. The cake consisted of a fresh strawberry and white chocolate ganache with homemade lemon curd placed between layers of strawberry cake. It was topped off with textural elements reminiscent of a ballerina’s tutu, edible fabrics (WOW! – Editor) and buttercream painting. Aside from the aesthetics of the cake, it also tasted AMAZING! All the guests raved on about it! Every detail was deliberately chosen to compliment one another and to create a memorable experience for the birthday girl and her guests. It was the perfect fusion of form and aesthetics, leaving everyone with a Spring in their step. 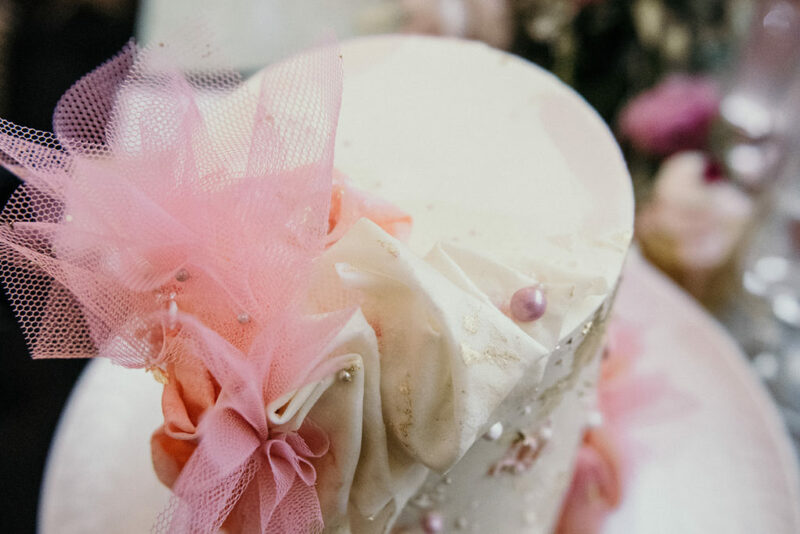 For Love and Living is a boutique event planning, styling and hire service based on the Gold Coast. Catch them on Facebook or Instagram.